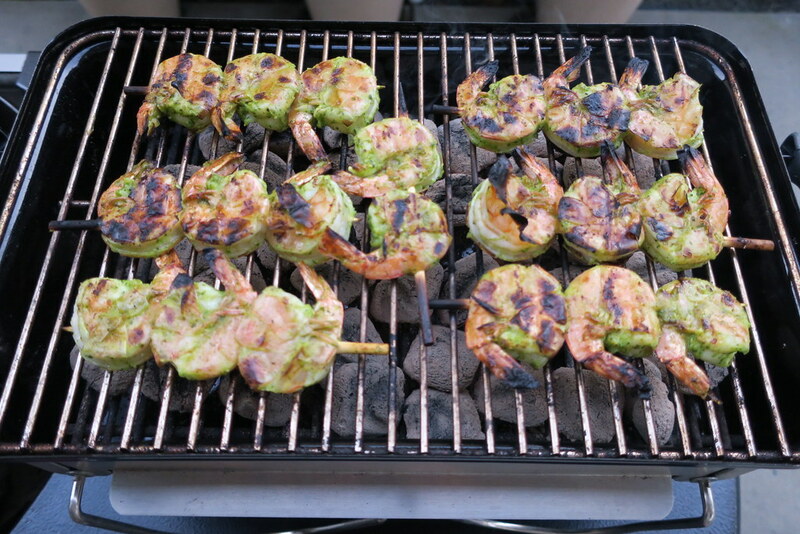 Last summer, I experimented with different robust seasonings and zesty marinades for grilled shrimp. The cilantro lime marinade for this recipe instantly became a family favorite and also enjoyed by everyone that tasted it. The cilantro lime marinade contains fresh classic Mexican flavors. 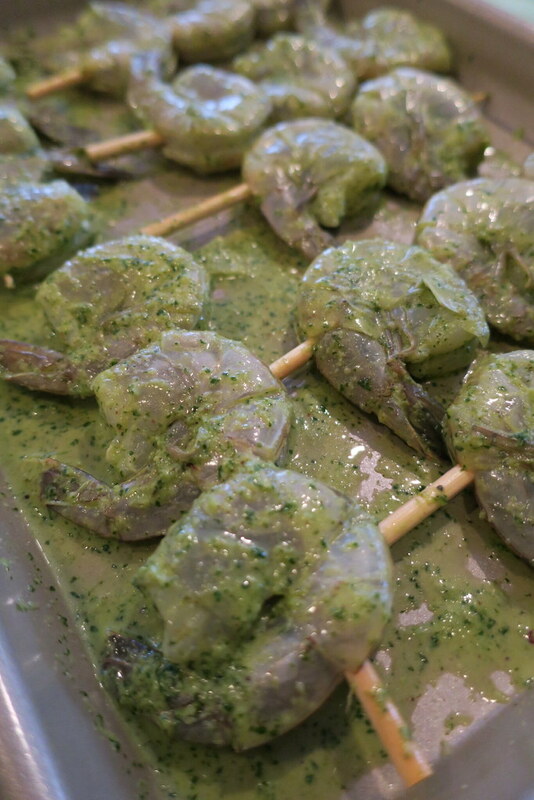 The herbaceous cilantro and tart lime juice brightens up the succulent shrimp and the bold green color is incredibly pretty and fun to look at. It is also super light and healthy. That means you can eat more and not feel so guilty! 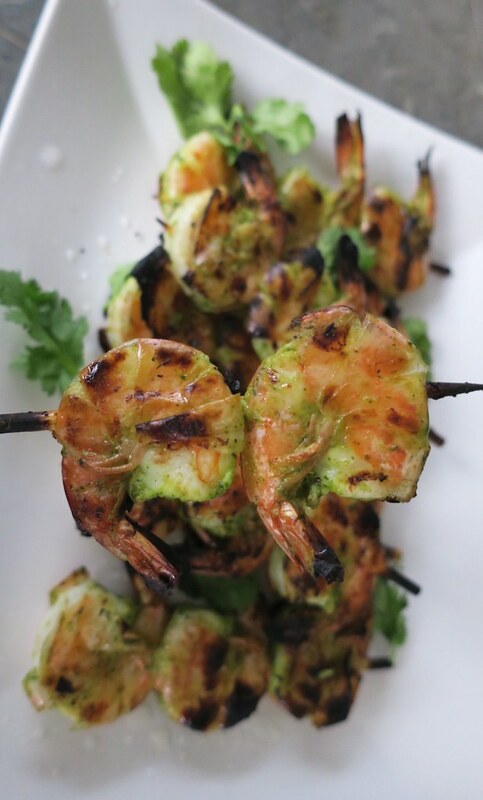 Grilled shrimp does not take long to prep and marinade and packed with extraordinary tasty flavors. Give it a try during your next Grillin’ and Chillin’ session. Make Cilantro Lime Marinade – Add cilantro, garlic cloves, olive oil, lime juice, crushed black pepper, and kosher salt into a blender jar. Blend until smooth. 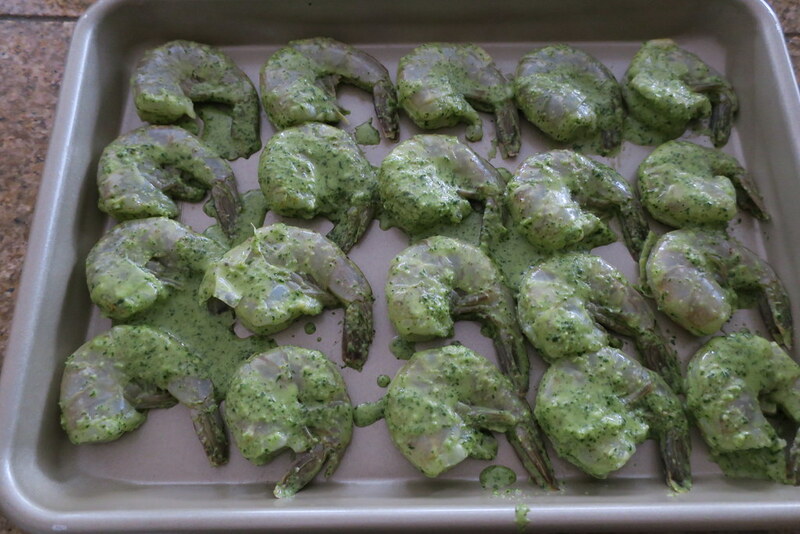 Marinate Shrimp – In a large bowl, combine shrimp and cilantro lime marinade and mix well until shrimp are evenly coated. Allow to marinate 30 minutes to one hour max. Skewer Shrimp – Thread 3 shrimp through a small (5.5-inch) soaked wooden skewer, running skewer through the body near the tail and head. Repeat until all the shrimp are skewered. Grill Shrimp – Setup grill to medium high heat for direct cooking. Grill shrimp for 3-4 minutes on each side until the shrimp exterior is pink and center opaque. Transfer grilled shrimp to plate. 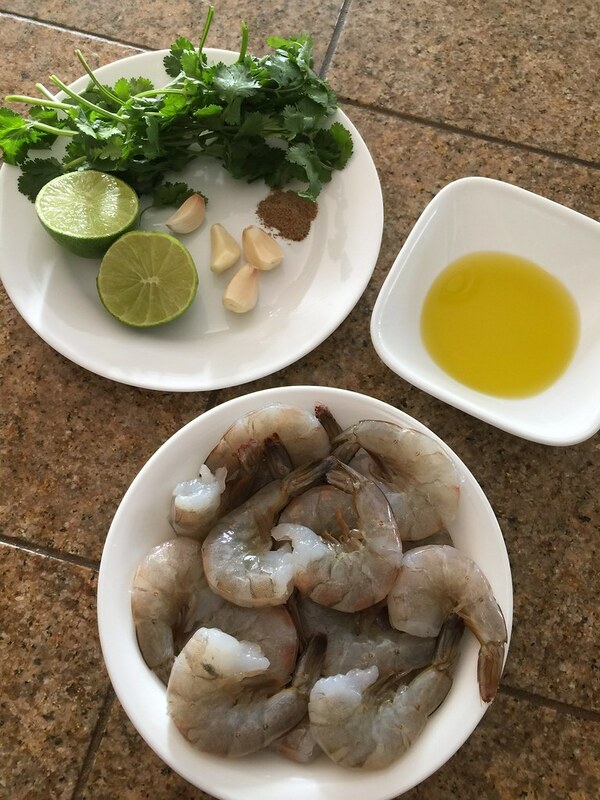 Garnish with cilantro leaves and brighten up shrimp with a quick squeeze of lime juice. I like to use bigger sized shrimp for grilling. For this recipe, I used 16-20 size shrimp. This means that for every pound, there is 16-20 shrimp. The bigger the shrimp, the better. Use shell-on shrimp when grilling because the shell builds flavor and prevents shrimp meat from being burnt. Since lime is used in the marinate, I recommend only marinating for about 30 minutes and no longer than an hour. The lime juice can start cooking the shrimp and altering the taste if left in marinade for too long. Works great on other seafood like cuttlefish, calamari, and fish.